Each of these overlapping stories centres on a transformation; together they form the bestselling Australian collection of the last three decades. Tim Winton’s characters are people we’re familiar with – their struggles and small triumphs are our own. Here they change in ways that are sometimes vast, sometimes indistinct, but every story illuminates things we take for granted. Even as some of these lives turn from expansive hope to defeated middle-age, there’s a sense of greater possibility, fuelled by the great turning of time itself. 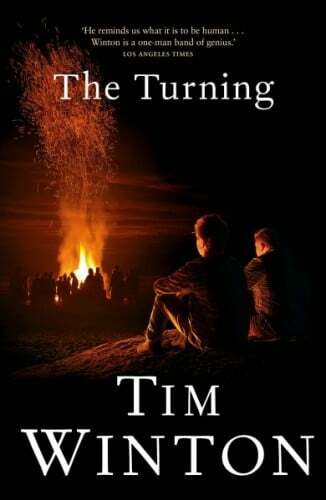 Tim Winton has published twenty-five books for adults and children, and his work has been translated into twenty-eight languages. Since his first novel, An Open Swimmer, won the Australian/Vogel Award in 1981, he has won the Miles Franklin Award four times (for Shallows, Cloudstreet, Dirt Music and Breath) and twice been shortlisted for the Booker Prize (for The Riders and Dirt Music). He lives in Western Australia. His most recent novel is Eyrie, released October 2013.